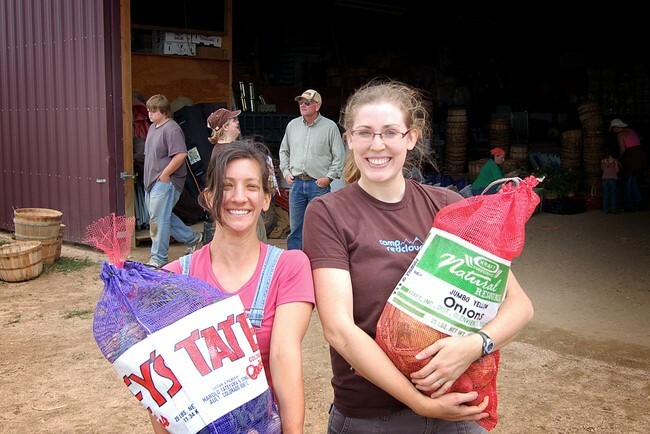 Community Supported Agriculture (CSA) brings the farmer back into the community. The farmer and consumers unite to grow produce. The farmer learns the consumers’ needs and desires. Consumers learn the realities of food production, such as the actual time of year produce is harvested in Colorado and how weather and insects can affect a harvest. •Eat exceptional, vine-ripened, freshly picked produce. •Help keep small farms in business. •Help preserve America’s precious farmland. •Get surplus produce from bumper crops. People in the community “join the farm” as non-working or working members. Members receive a percentage of produce; the percentage depends on the membership package selected by each member. Several convenient distribution centers are located throughout the Denver metro area and Front Range communities in Colorado. Eat the best-tasting organic product this side of the Rockies!